South Of Lakeshore! Steps To The Lake, This Gorgeous Home Features A Large Gourmet Eat In Kitchen W/ Quartz Countertops Overlooking The Beautiful Backyard! The Perfect Blend Of Old World Charm And New Upgrades! This Was Originally A 4 Bdrm Home Could Easily Be Converted Back! The 2nd Bdrm Features A Fantastic Loft Hideaway! 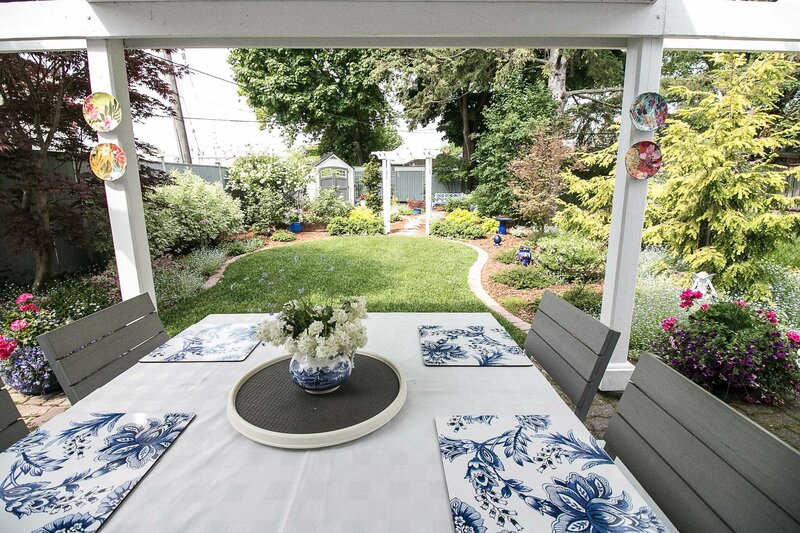 The Large Back Deck Off The Kitchen Is The Perfect Spot To Host Summer Bbq's! Close To Public Transit, Hwy's And Downtown! These neighbours in New Toronto and surrounding helped these kids GROW! Click on the link above to be inspired by your future neighbours, and Second Street Middle Schools kids , please! Find New Toronto homes for sale at Etobicokeforsale.com! Our closest Remax office to New Toronto is either across from the Cloverdale Mall on The East Mall or at 4242 Dundas Street West in the Brunos Plaza east of Royal York Rd. Come and meet with us there!